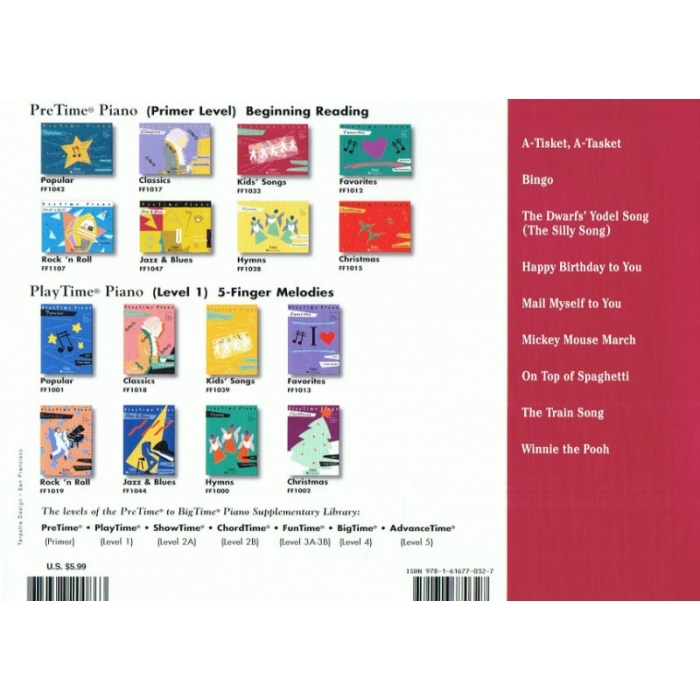 Composers: Nancy Faber and Randall Faber ► PreTime Piano Kids’ Songs is a collection of songs that brings special joy to children. 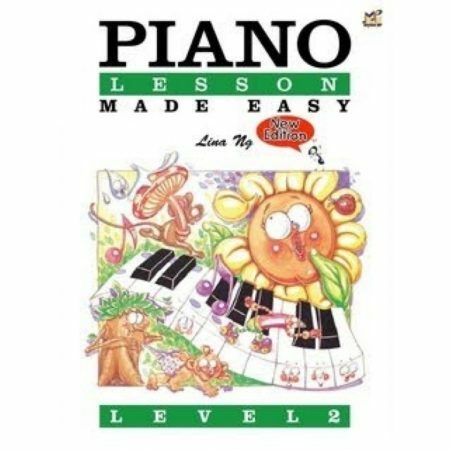 The simplicity, humor, and charm of the selections will enhance the enjoyment of beginning piano for students and parents alike. 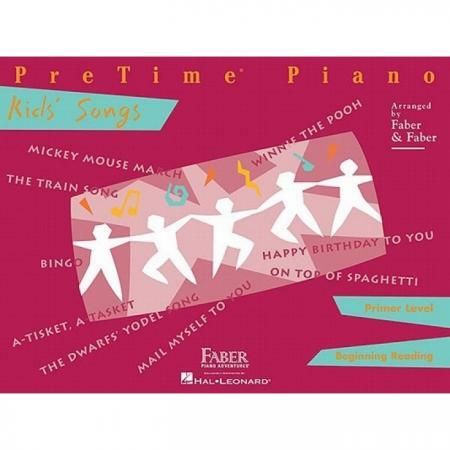 After all, many of these songs have been passed down from generation to generation: A-Tisket, A-Tasket • Bingo • The Dwarfs’ Yodel Song (The Silly Song) • Happy Birthday to You • Mail Myself to You • Mickey Mouse March • On Top of Spaghetti • The Train Song • Winnie the Pooh. 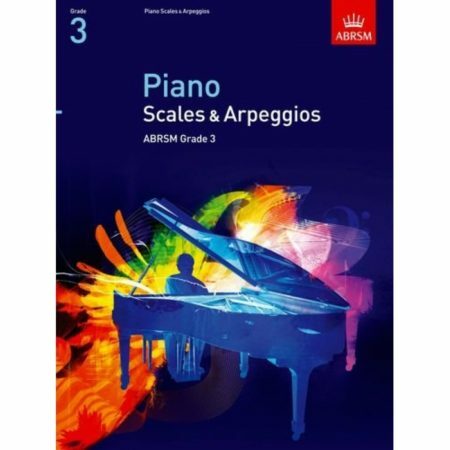 The PreTime Piano series provides the earliest level of reading for the beginning pianist. 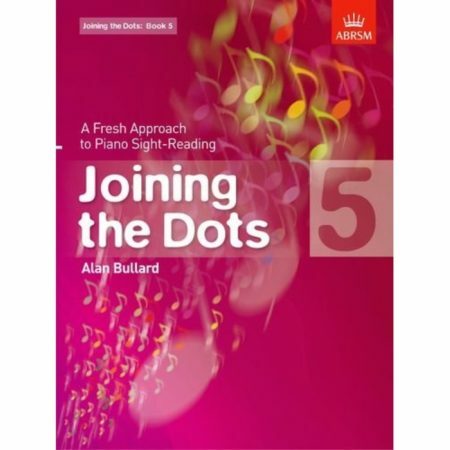 There are no dotted rhythms and eighth notes are used only sparingly. Tasteful illustrations and use of color add to the charm of the books.